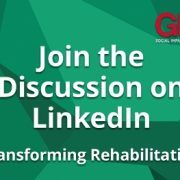 We have created a LinkedIn group dedicated to the topic of Transforming Rehabilitation. It is a forum for discussion, for individuals who work or have an interest in, the fields of probation, offender rehabilitation and Transforming Rehabilitation. Our idea to set up the Transforming Rehabilitation LinkedIn group follows our recent Transforming Rehabilitation: Learning from the PbR results event, which was attended by professionals working across all aspects of the probation service. At the event, attendees were able to network, and share their experiences and learnings, which was highly beneficial. We wanted the discussions and new connections made, to continue beyond the event and the group is the ideal way to help facilitate this. Everyone working in this sector has valuable insights and their contributions to shared learning will ultimately help us all to improve the outcomes for those entering the justice system. Establishing a good relationship between the offender managers and their clients/service users is an important part of quality offender management. Putting this into practice might be more difficult. Can you share some of your experiences of good practice in involving offenders in their sentencing planning, and what obstacles were in your way and how they were overcome?